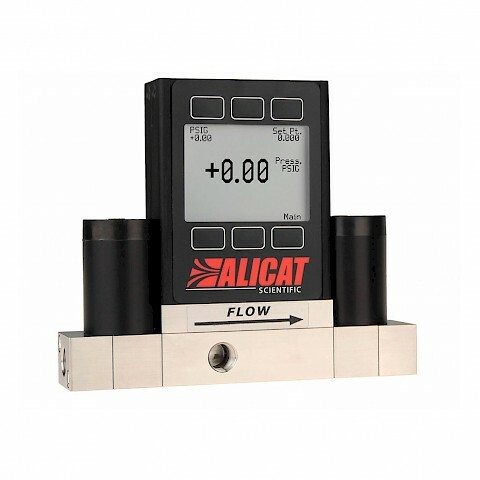 Alicat PCD3 and PCRD3 series of pressure controller incorporates a remote sensor port onto the body of the instrument. 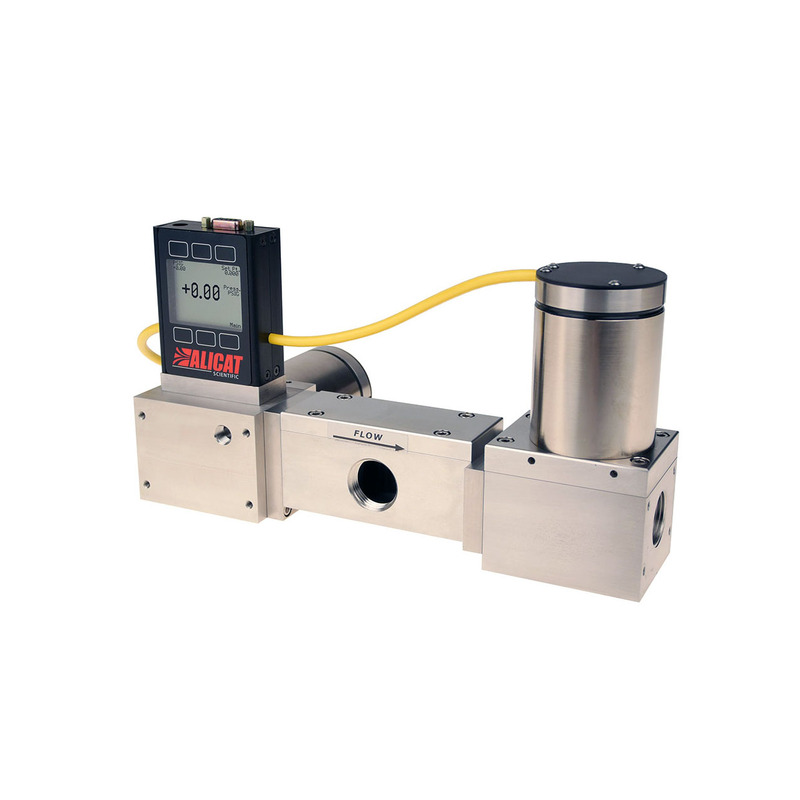 This allows for a remote pressure signal to be sent from a point upstream or downstream of the controller. The remote sense port allows precise control of pressure in areas that are either hard to reach or in which pressure control equipment cannot be directly installed. This yields faster and more precise targeting of the pressure being controlled, without being affected by flow-induced pressure changes that may occur inside the controller. Alicat PCD3 and PCRD3 series allow for stable and response control within closed volumes, they reduce wasting costly gases as there is no continuous bleed valve. PCD series incorporates a second, independently controlled exhaust valve that actuates only when the pressure needs to be reduced, minimising the amount of gas venting. The PCD3 and PCRD3 series pressure controllers are repeatable and accurate with calibrations up to +/- 0.125% of full scale accuracy. 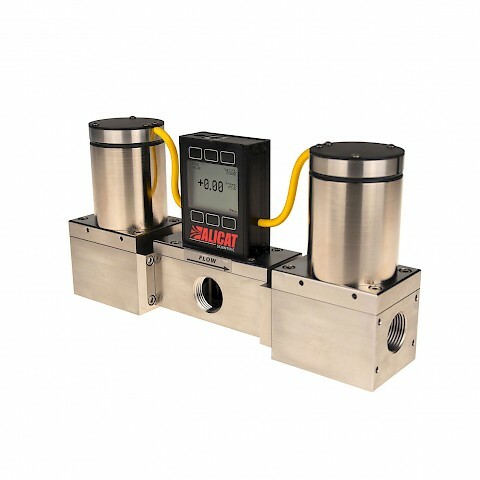 PCD3 series controllers have a 1/8” NPT female connection and are typically suited to low flow pressure applications, whilst PCRD3 controllers feature a ¾” NPTF connection and are for applications where the flow rate exceeds 20 LPM. Both series also offer as standard a 1/8” NPT female remote sense port, ask about other sizes if required. RS-232 communications are standard as well as an analogue output signal such as 0 – 5 VDC. Modbus-RTU, available over RS-232 or RS-485 and PROFIBUS protocols are also available. PCD3 and PCRD3 series can also be ordered as a PCDS3 or PCRDS3 for aggressive applications. ATEX Zone 2 Area Classification, permits operation in hazardous environments. 9-pin or 15-pin D-sub connectors, configured to match any existing pinout. Accessible PID valve tuning for best speed and stability.